Air Canada today (December 22th, 2016) inaugurated new twice-weekly flights between Montreal and Costa Rica. This morning’s departure of Air Canada Rouge flight AC1844 begins non-stop service from Montreal to Costa Rica’s Juan Santamaría International Airport that will operate until April 23, 2017. “Air Canada is very pleased to inaugurate this new, seasonal service between Montreal and Costa Rica, providing customers even more options when travelling to this popular Latin American vacation destination. The new flight complements Air Canada’s existing Toronto–San Jose service and our flights from Toronto and Montreal to Liberia in Costa Rica. It also serves to further support Air Canada’s ongoing global expansion, which has seen capacity grow from its strategic Montreal hub by 20 per cent over the past two years,” said Benjamin Smith, President, Passenger Airlines at Air Canada. Air Canada’s San Jose flights will be operated by Air Canada Rouge, Air Canada’s vacation carrier, with a 282-seat Boeing 767-300ER featuring two classes of service with 24 Premium Rouge seats and 256 seats in Economy Class. Flights provide for Aeroplan accumulation and redemption and, for eligible customers, priority check-in, Maple Leaf Lounge access in Toronto, priority boarding and other benefits. *: Service operates until April 23, 2017. Air Canada today (December 20th, 2016) inaugurated new year-round service between Toronto and Trinidad. This morning’s departure of Air Canada Rouge flight AC1880 marks the beginning of twice-weekly, non-stop flights from Toronto to Port of Spain’s Piarco International Airport. “Air Canada is very pleased to inaugurate this new, year-round service between Toronto and Port of Spain as part of our ongoing global expansion. In addition to being a popular vacation destination for Canadians, Canada and Trinidad and Tobago have longstanding ties, with many Canadians of Trinidadian descent visiting friends and relatives, and there are also substantial business ties. 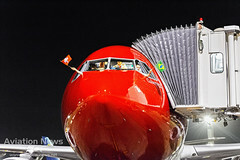 This new service will connect conveniently with our extensive domestic and international network through our Toronto-Pearson global hub,” said Benjamin Smith, President, Passenger Airlines at Air Canada. Air Canada’s Toronto-Port of Spain flights will operate with a 280-seat Boeing 767-300ER featuring two classes of service with 24 Premium Rouge seats and 256 seats in Economy Class. Flights provide for Aeroplan accumulation and redemption and, for eligible customers, priority check-in, Maple Leaf Lounge access in Toronto, priority boarding and other benefits. Boeing and Atlas Air Worldwide Holdings announced an order today (October 11th, 2016) to convert nine 767 passenger airplanes into Boeing Converted Freighters (BCF). 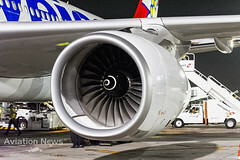 Four of the orders were previously announced at the Farnborough International Airshow in July, attributed to an unidentified customer. Boeing is a leader in providing 24/7 support and service to the global aviation industry. In addition to designing freighter conversions, Boeing offers the industry’s largest portfolio of services including interior modifications, aftermarket parts, subscription-based maintenance programs, engineering support, crew training, route planning, digital crew scheduling, advanced data analytics and software to enhance airlines and leasing company operations. On October 4, 2016, LOT will launch ticket sales for new direct flights to and from Newark, beginning April 28, 2017. Flights to Warsaw are to be operated at first three and later four times a week, giving passengers the best access to Poland as well as Central and Eastern Europe. “Newark is one of the most important airports to the Polish diaspora on the east coast of the United States. I am pleased that we are able to relaunch that route after a break lasting several years, ensuring our fellow countrymen the most comfortable flights to Poland” – says Rafał Milczarski, CEO of PLL LOT. “LOT offers the shortest and the most comfortable connections via Warsaw to dozens of cities in Europe. It means only 2 hours transfer time to destinations such Moscow, Prague, Budapest and Vilnius, and great connectivity to major Polish cities, such as Gdańsk or Kraków. We fly one of the youngest fleet in Europe; our crew is professional and hospitable and our hub in Warsaw is one of the most comfortable and passenger friendly in Europe. Newark is no longer a missing link in our route network. Our return to that destination makes us an attractive airline to numerous passengers who have not relied on our services yet”- adds R. Milczarski. Together with Newark, LOT will continue to operate flights to JFK. In fact, this year for the first time LOT will fly to JFK daily even in winter season. In total LOT will offer up to 2 connections to New York area almost every day. The announcement of the connection to Newark is part of LOT’s profitable growth strategy that the airline has been implementing since early 2016. The Polish airline has launched 23 new connections in total, including the first direct Warsaw-Seoul flight to be inaugurated on 17 October. Austrian Airlines will initiate flight service to the Seychelles starting with its winter 2017/18 flight schedule. As of October 25, 2017, it will fly non-stop every Wednesday from Vienna to the vacation island in the Indian Ocean, returning to Vienna on Thursdays. “Demand for direct flights to long-haul tourist destinations is high. We responded: In addition to Mauritius, Colombo and Havana, the Seychelles represent our fourth new destination within a period of only two years”, says Austrian Airlines CCO Andreas Otto. As a result, Austrian Airlines will offer a total of five long-haul tourist destinations in its winter 2017/18 flight schedule. Up to two flights per week will be operated to both Mauritius and the Maldives. 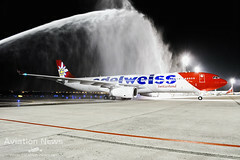 Austrian Airline will also operate one direct flight each week to Colombo, Havana and the Seychelles. The Republic of Seychelles is an island state consisting of about 115 islands in the Indian Ocean. 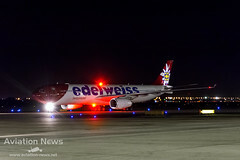 Flights can be booked at www.austrian.com or in a travel agency starting on October 25, 2016. 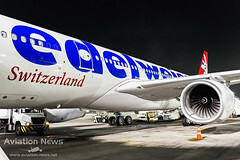 Seychelles – Vienna OS 014 Thursdays 10:10 a.m. – 4:30 p.m.
Air Canada last Wednesday announced the addition of two new seasonal destinations to its international network from Montreal. The new services, Montreal–Algiers and Montreal–Marseille will launch in June 2017, with the Montreal–Algiers route subject to government approvals. “I am delighted by these new routes to Marseille and Algiers. Access to an even greater number of directs flights is a tangible benefit for Montreal and for our businesses—it saves time and money for travelers and provides easy access to new markets. They are also an asset in terms of attracting international businesses and creating new jobs here. Once again, we can confirm Montreal’s status as a major urban center and international hub,” stated Denis Coderre, Mayor of Montreal. “The addition of these two French-speaking cities to our list of direct destinations confirms Montréal-Trudeau airport’s status as a hub between North America and the Francophonie. Our thanks to Air Canada,” said James Cherry, President and Chief Executive Officer of Aéroports de Montréal. Both new seasonal routes will be operated by Air Canada Rouge with a 282-seat Boeing 767-300ER aircraft, featuring a choice of three customer comfort options: Economy; Preferred seating offering additional legroom; and Premium Rouge with additional personal space and enhanced service. Seats on the Montreal–Marseille route are now available for purchase, and tickets on the Montreal–Algiers route will be available in the near future. Flights are timed to optimize connectivity to and from Air Canada’s Montreal hub. All flights provide for Aeroplan accumulation and redemption and, for eligible customers, priority check-in, Maple Leaf Lounge access, priority boarding and other benefits. *: Subject to government approvals. Casablanca service returns on April 19, 2017 on a year-round basis with three flights a week, increasing to daily service in June 2017 and continuing with three flights a week during the winter season. Flights are operated by Air Canada Rouge with a 282-seat Boeing 767-300ER, featuring a choice of three customer comfort options: Economy; Preferred seating offering additional legroom; and Premium Rouge with additional personal space and enhanced service. Air Canada, Air Canada Rouge and its regional airline partners flying under the Air Canada Express banner operate on average approximately 2,100 flights per week between Montreal and 80 destinations: 23 in Canada including nine in Québec, 18 in the United States, 26 in the Caribbean, Central America and Mexico, 12 in Europe, and stating in 2017 one in China and two in North Africa representing a 146% increase in international long-haul capacity since 2009. Air Canada also offers service to Munich and Zurich through codeshare flights with Star Alliance partners Lufthansa and Swiss International Air Lines.